Why Aren't There More Women In Tech? Seeking A Fix To Silicon Valley's Diversity Problem : All Tech Considered We start at an after-school program for middle-schoolers and end at tech companies that try to be front-runners on diversity. Where do girls and women drop out from the tech talent pipeline? This story was reported by Latino USA in collaboration with All Tech Considered. 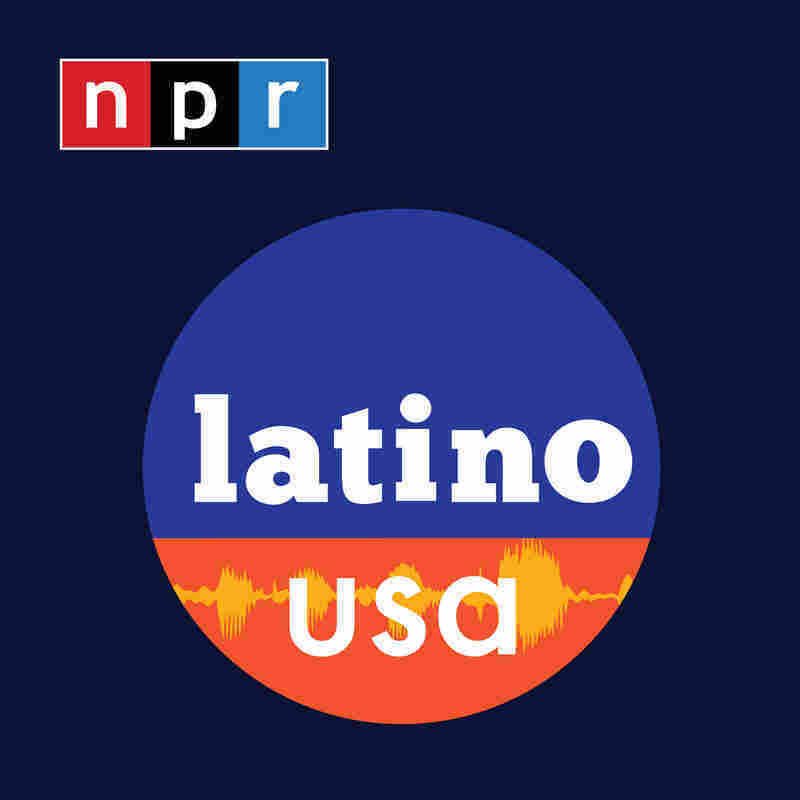 The audio version of this story aired earlier on Latino USA; it is embedded below. Micaela Honorato is looking from the sidelines as boys from her after-school program take turns racing their hand-made hovercraft on a dirt field in a city park. These remote-controlled cardboard devices are less "hover" and more "skid-along," as the teacher Abraham Orozco puts it. Today, the middle-school kids are contending for the fastest spin around four traffic cones. Michaela is a tall 12-year-old with a serious and focused gaze. She quietly awaits her turn, then concentrates on the controls. At 16.36 seconds, she takes the lead in the competition. This after-school program is called HOLA — which stands for "Heart of Los Angeles" — and it serves the city's Rampart District, where nearly all residents live in poverty. Vast majority of HOLA's participants are Latino. Over nearly 30 years, the program has helped hundreds go to college. A handful of students from Orozco's scientific arts program at HOLA have pursued successful technical careers. But Orozco says a lot of his students shy away from the tech industry, despite technical talents: They don't want jobs with any economic risk — something quite common for work at a startup or in computer science in general. It's even harder to get girls interested. At HOLA, younger kids don't get to choose their classes, but programs become elective for high-school students. Orozco's scientific arts program is "girl-heavy" in elementary and middle school, he says. At the high-school level, only two of his 13 students are girls. And this is one of the clear leaks of the talent pipeline that feeds workers to the tech industry. Year after year, Silicon Valley companies have been criticized for their slow process in employing more women and other underrepresented groups, which for tech are black and Latino. And often, they say they simply can't find enough qualified workers to hire. As you go through the tech talent "pipeline" to find where it leaks, HOLA illustrates a major one. Somewhere between middle school and high-school graduation, girls' interest in tech peaks and wanes. Down the line, women make up roughly half of U.S. workers and of the U.S. population — but on average represent less than a third of tech companies' employees. For black and Hispanic workers, the numbers drop into single-digits: These groups tend to comprise 3 percent or less of tech companies' employees. And it's not just technical fields, but all staff and leadership roles. 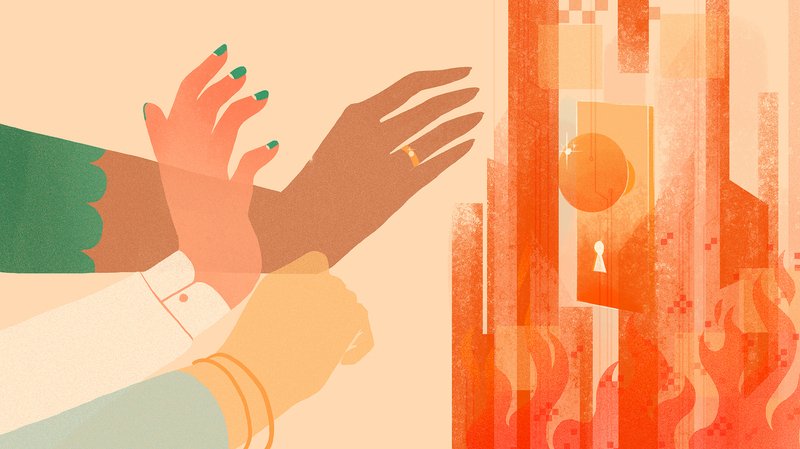 Attempting to reverse-engineer interest in tech, we asked women in a Slack group called "Techquería" for Latinos in tech: How did you first get into it? I like to think about it as, I walked in the back door, so that I could open the front door for everybody else. A surprising number of women replied: MySpace. The now-arcane social network allowed for a lot of customization — users could mess with the color schemes, fonts, add bells and whistles by tinkering with the source code. The site's popularity in the mid-2000s introduced many middle- and high-school girls to basic HTML. Dalia Icedo was the queen of cool MySpace designs: She got so good at customizing profiles that she created a whole separate page where other people could get her themes. "I would change the color scheme literally every day, probably," she says, "because I was 12, I had nothing else to do." The skills came in handy after high school, when she started an online shop to sell things like band pins and earrings — and began tinkering with visuals that bugged her, like margins that felt too wide. Today, social media is no less popular than 10 years ago — and girls are more avid users than boys, especially on Snapchat and Instagram. But as technology has become more user-friendly, it's also become less customizable — even grandparents can use Facebook, but how many of us understand how it works? And talking with young girls, few are drawing the connection between using popular apps and thinking that they could program them. "Personal computers started showing up in U.S. homes in significant numbers. These early personal computers weren't much more than toys. ... And these toys were marketed almost entirely to men and boys. This idea that computers are for boys became a narrative." Now, both the corporate marketers and the diversity activists have been trying to figure out the sensitive matter of how to market tech to girls. The line between "girly" and "for girls" can be thin. What matters is what girls can actually do with the technology, says Deldelp Medina, co-founder of Latina-focused accelerator Avion Ventures who's now at tech diversity nonprofit Code2040. A small pink computer isn't terrible per se, Medina argues: Smaller keyboards are actually nice to prevent carpal tunnel in smaller hands. What's insulting is if this computer comes with less processing power, memory or useful software than a regular one. "There's a difference," she says, "between wanting to celebrate your femininity and shrinking and pinking something." Targeting girls with technology can get thorny. But Andrea Guendelman, creator of Latinos-in-tech social network BeVisible, says one — if not the only — thing that works is mentorship. In the summer of 2014, Jazmine Fernandez was one of the young women in the Girls Who Code program. Being raised by a single mother and sisters, Fernandez knew there's little women can't do. But when she heard she got placed at Facebook, Fernandez felt intimidated — excited, but mostly scared. Women and everybody who's currently underrepresented in the tech industry has to gain those skillsets, because otherwise, it will not go well for any of us. "Because when I went, there was just a lot of..." Her voice trails off. "There was... How do I say this?" Her mentor, Raquel Vélez, steps in: "There weren't a lot people who looked like you, huh?" Fernandez heard Vélez give a talk at Facebook headquarters, and she made a huge impression: Latinas can get jobs in Silicon Valley. "One of my favorite quotes ever is, 'You can't be it if you can't see it,' " says Vélez, engineering manager at software company NPM. "Believe me, I have like 25 mentors, and it's the only way I can make it through, because so often I'm the only one." Fernandez is now studying computer science at San Francisco State University. She expects the field to always be a struggle. In one of her classes, a guy once basically tried to argue that girls can't code. And to be Latina in tech, Vélez says you have to work four times as hard. "I like to think about it as, I walked in the back door, so that I could open the front door for everybody else." Where mentorship particularly comes into play is at the end of the pipeline, where underrepresented groups struggle to get hired and stay hired. Silicon Valley is a boys' club whose networks tend to stay white, male and affluent. One company trying to break the cycle is Atipica. It has built a computer program to sift through resumes — skipping human managers to avoid hiring biases, like subconscious discrimination based on a last name or school attended. 'Diversity' Is Rightly Criticized As An Empty Buzzword. So How Can We Make It Work? Chicago-based Opternative offers another example of tackling diversity head-on. It's a startup that lets people do their own eye exams. In many ways, Opternative operates like many other startups, relying on referrals from its existing employees. Yet it's grown into a pretty diverse group because from the get-go, its team wasn't just white guys and it views diversity of life experiences as an asset. But here's the tricky part: While both companies get high marks for being racially diverse, gender equity remains a challenge. Atipica, a Latina-run company, has one other female employee. Opternative's technical team has women on the design side and in junior positions, but all four of its senior engineers — the leaders and decision-makers — are male. Gomez and Opternative CTO Ayo Jimoh say the women they've seen apply for their job openings were under-qualified for those positions. It's effectively the pipeline argument. Jimoh's diagnosis is that people self-select — they don't want to pursue careers that are stacked against them, they need role models, success stories of others like them. So then, who is responsible for creating those role models? Couldn't Jimoh or Gomez, for example, spend extra time to find a female senior engineer or promote from within? "There is a part of me that says, let me me show," says Gomez, "but I have to put my business first and foremost." Jimoh, too, says he has to balance that responsibility for equity with his other responsibilities "to my company, to my team, to myself, to my family." In a way, the push for diversity in tech is still so new, it's often treated as a cause or a mission — and fighting for a cause and running a business aren't the same. At the end of the day, Atipica and Opternative weren't founded to heal Silicon Valley's diversity problem — but to fill what they see as a market need. And these are small companies — the gender balance of staff is even harder to shift at massive ships like Facebook or Google. A few companies, such as Intel and Twitter, have recently started releasing hiring goals, putting diversity in quantifiable terms. The targets are very far from lofty, but they're specific, public — presumably someone's measurable responsibility. And now, there's a new challenge. As Donald Trump takes over as president of the United States, diversity advocates are worried about a push against the very concept of promoting multiculturalism. "I think we need to double-down on diversity and inclusion, quite frankly," says Daisy Dominguez-Auger, global head of diversity at Google. "Companies are going to have to take a stronger look at what their practices are ... in a much more collaborative way." Fundamentally, the Trump administration's economic policy is expected to focus heavily on manufacturing jobs. One of the first conversations Trump had with a tech leader after the election, was a call with Apple CEO Tim Cook, in which Trump pushed for Apple to build plants in the United States. From what we know, Trump has yet to address the shortage of skilled tech workers. And many economists predict, that's a major challenge for the future of America: The economy of the future is one where almost everyone has to interact with computers and code. Diversity advocate Medina says sidelining large swaths of the population from the tech industry is no way to make sure America isn't left behind. "We're going to have a jobs deficit that is so huge, that if we don't fill it, we're going to have severe economic consequences," she says. "Women and everybody who's currently underrepresented in the tech industry has to gain those skillsets, because otherwise, it will not go well for any of us." Latino USA's Jeanne Montalvo, Noam Hassenfeld and Julia Shu contributed to this report.